The last two months have seen high winds and heavy rains across Lebanon. Unfortunately, this has caused a huge amount of devastation and further displacement to many marginalized refugee communities. According to UNHCR, more than 360 areas, hosting 11,300 refugees, have been affected, with a number of these being completely flooded. At least 600 Syrian refugees in the Bekaa have been forced to relocate, and one young Syrian girl lost her life in the floods. A number of wonderful NGOs in Lebanon have come together to support those affected, including ULYP. In the last newsletter, we announced our Caring Coats Campaign, asking for donations of warm clothing and blankets. Thanks to your kind donations, ULYP was able to deliver these essential winter items to those refugees affected by the weather. Your items were delivered to camps and gatherings in the Bekaa, an elderly center in Naher El Bared camp in the North, and a pre-school in Ein El Hilweh camp, Saida. This could not have been possible without your generous support, and the support of First National Bank (FNB) and other partners. The American Community School, Beirut, is still collecting winter clothes and blankets so please continue to donate everything you can, to help those in need. When individuals, communities and organizations work together, we really can make a huge difference to people’s lives here in Lebanon. We are pleased to announce ULYP’s new partnership with Liban Jazz, which began at the turn of the new year. Liban Jazz has been supportive of our mission over the years and together we have hosted two fund raising concerts for ULYP. To launch the season, The Grammy nominated artist: Hot 8 Brass Band will perform at MusicHall on Sunday the 24th of February. More information is available on the Liban Jazz Facebook page. If you are interested in buying tickets, please contact us at ULYP on 01 745 887, and ask for Jana, who will help you reserve your spot. The Blom Bank Beirut Marathon will be held on the 11th of November this year and ULYP will be in partnership with them again! Every runner has the option to run in partnership with an organisation and a percentage of the proceeds is donated to the charitable work done by that organisation. This year, if you run for ULYP, part of your registration fee will go to the wonderful work we do with children and youth in Lebanon. Last year’s donations helped to build our new pre-school, which has been teaching young children all year! If you are planning to run in the marathon this year, please run for us. When registering on the marathon website, all you have to do is click on ‘ULYP’, when asked what organisation you’d like to support (under the ‘Run for a Cause’ tab). These donations make a huge difference to the work we do here so please, get your running shoes on and run for ULYP. 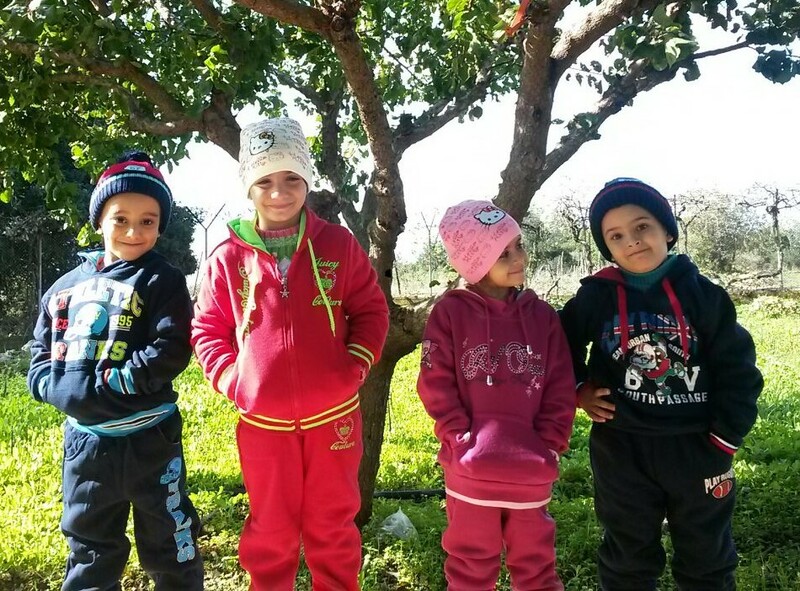 Winter is coming, and without the right clothing, many families will struggle to stay warm. We are therefore delighted to announce that our Caring Coats Campaign will be running for the fifth time. Between October 15th and November 15th, ULYP will be placing donation boxes all over Beirut, as well as at our office. Please donate any coats, scarves, blankets and other warm pieces of clothing if you can. Last year, over 3500 hearts were warmed by your kind donations. This year we are hoping for even more! Thank you, your contributions can make a huge difference! On 11th of October, Zade Dirani is playing at the Palais Des Congres, in Dbayeh. This event is hosted by one of our wonderful partners, Taawon Lebanon. Please join us at this concert to enjoy Zade Dirani’s music and support our joint educational programs. Tickets are available on the ticketing box office website (https://www.ticketingboxoffice.com/). Though many are welcoming the snow and winter season, others are dreading the colder months ahead. During October and November, donation boxes were placed all over Beirut as part of our fourth annual Caring Coats Campaign. We are delighted to say that over 3,500 hearts will be warmed this year thanks to the generous donations we received. The coats, blankets, scarves and other warm clothing have been organized and sorted. Through our partner, Social Support Society, ULYP identified families and individuals living in the Beqaa Valley that are most in need and donated the items to them in preparation for cold winter months. We want to express a huge thank you to all those who donated. SUNNARA FUNDRAISER – TARGET REACHED! In the last newsletter, ULYP announced the launch of its SUNNARA program fundraiser. The goal was to raise $5,000 by 31 January. We are happy to announce that we reached 115% of our target! The funds raised will be used to support a new program that empowers refugee and underprivileged women by teaching them the skills to knit and crochet. The women will learn to create basic clothing and decorative items. Eventually, they will be able to generate an income by producing and selling their items. We would like to thank you for enabling us to reach our goal! We are excited to announce the launch of our SUNNARA program fundraiser. Our goal is to raise $5,000 by January 31, 2016 for this new program that empowers underprivileged and refugee women with the skills and knowledge to knit or crochet. Participants will learn to create basic clothing and decorative items for their families and later become entrepreneurs, producing items that they can sell to others and generate income. The link for this fundraiser is http://campaign.justgiving.com/charity/ulyp/sunnara. We very much appreciate your support! Thank you for spreading the warmth! Our first ever winter clothes drive, the Caring Coats Campaign, was a real success! Thanks to many donors and helpers we collected 41 boxes of warm winter clothing which have been distributed to Syrian refugees in the Bekaa. This was only possible with the helpful hands of Dany’s, T-marboutah, Halak Optics, Houri Hearing, The Garderie, LAU, ACS and FNB, all functioning as collection stations. We are also very grateful to the Palestinian Cultural Club at LAU who set up their own drive for us, and to our 12 enthusiastic volunteers who helped to sort out the clothes. In January, a second clothes campaign, Give Warmth, was set up in collaboration with Tara Hermez. This was in response to the storm Zina, which hit Lebanon bringing inches of snow and leaving many families freezing in the harsh conditions. ULYP collected approximately 100 more boxes of clothes and blankets, which were also sent to families in the Bekaa for distribution by two local NGOs, SAWA for Development and Aid, and URDA. A big special thank you to everyone who donated their clothes or time to help make these campaigns happen and keep families in need warm! It’s never too late. Thousands of Syrian refugees are currently suffering under huge piles of snow, unable to leave their tents to access food, clothes or winter supplies. After the success of our Caring Coats Campaign in November-December, when over 45 large boxes of coats, blankets, jumpers, hats and more were donated, ULYP is teaming up with other organisations to spread the warmth. Together with two local NGOs based in the Bekaa (SAWA for Development and Aid, and URDA), we are reaching out to support those in need. ULYP is receiving donations at our office in Hamra this week, from Monday the 12th until Wednesday the 14th 11AM till 2PM. A delivery will be sent to the Beqaa at the end of each day in order to respond as quickly as possible. In addition, for those who cannot physically make it to Hamra, we have partnered up with Uber (Everyone’s Private Driver™), and they have generously offered their services for free to pick up the donations from your homes and bring them to us! We are strongest when we work together. Let’s put our hearts into keeping everyone warm this winter. ULYP’s Blog – 2014 in Review!